We recently saw an iPhone teardown from iFixit and now we have another teardown video, this one from JerryRigEverything. 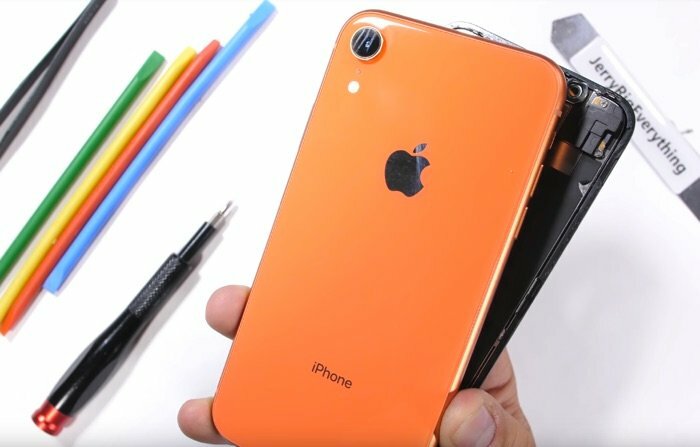 In the video below we get to see how the new iPhone XR can be taken apart and also what is inside the handset. Apple’s new iPhone XR is now available to buy, the handset comes with a 6.1 inch LCD display and features Apple’s new A12 Bionic battery that is also used in the iPhone XS and iPhone XS Max. The handset comes with a 7 megapixel front facing camera for Selfies and it features Apple’s FaceID, it also comes with a 12 megapixel rear camera.